All photos courtesy of Root Whole Body. 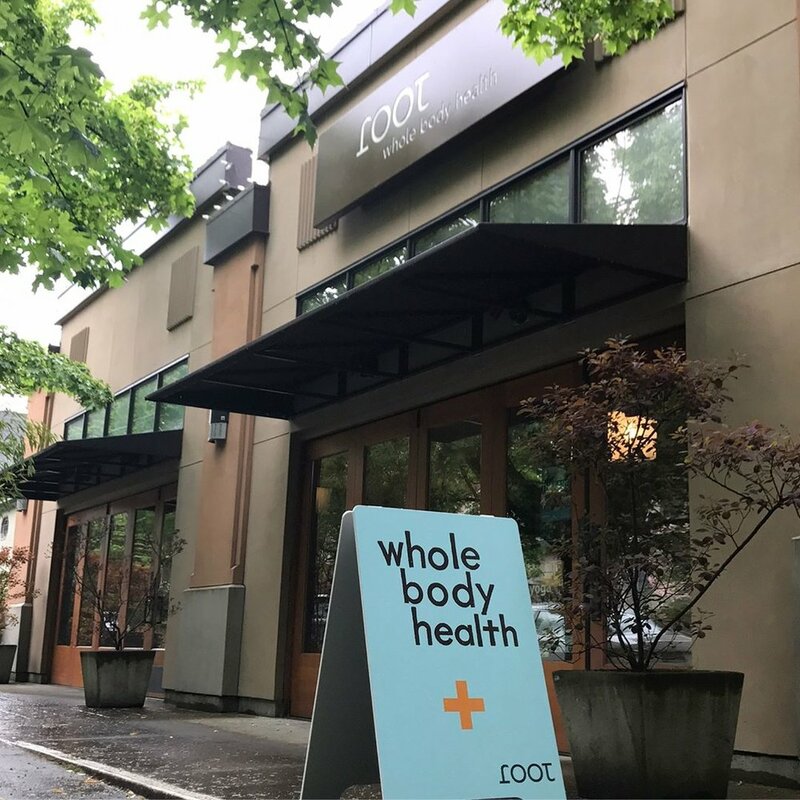 This May, Res Nova Law's Small Business Spotlight is focused on Root Whole Body, an innovative, woman-owned company that provides Portland with a unique and holistic approach to health and wellness. We chatted with Amy Spreadborough, Root's marketing and brand director, to learn more about Root's origin, motivation, and brand new location in Northwest Portland. The concept of Root was born 11 years ago, when its founder and CEO Pat Johnson was battling (and overcoming) a very invasive cancer. During her health crisis, Pat realized that prescription pills and radiation therapy alone were not going provide her with the healing she needed. Pat—and many others facing or wanting to prevent health problems—needed whole body healing instead. However, it wasn't feasible to travel to separate places to see a yoga instructor, acupuncturist, nutritionist, chiropractor, naturopath, and so on. This really got Pat thinking about how she could help her community meet that need. Root's Northeast location. © Root Whole Body. Root is not just a yoga studio, nor is it typical in any way. Although Root does focus on movement, it also encourages healthful eating, preventative health, and relaxation as necessary components to overall wellbeing. For example: Root NE, located in the heart of the Irvington neighborhood, includes a movement studio for pilates, yoga, and the like; a spa; a tea room; and treatment rooms for massage, organic skincare, acupuncture, naturopathic medicine, chiropractic medicine, holistic nutrition, and more. Root isn't stopping there, either. In fact, this is the grand opening weekend for Root's new location, which offers even more health and wellness services to its clients. The brand new Root NW, located in Portland's vibrant Slabtown neighborhood, is roughly 6,500 square feet (nearly twice the size of Root's NE location) and includes two movement studios; a community sauna; a private, full-spectrum infrared sauna; a private hydrotherapy soaking tub; a tea room; a teaching kitchen; a café; and more. The Root café menu looks incredible, too. Root NW: 2122 NW Quimby Street. Res Nova Law is an intellectual property and business law firm based in beautiful Portland, Oregon, and serving both Oregon and Washington. We’re your go-to lawyers for startups and small to midsize businesses in every stage of business growth. Our legal services include business formation, contract drafting, intellectual property advising and litigation, business advising and litigation, and more. We also offer outside counsel plans for businesses with ongoing legal needs. Get in touch with our experienced intellectual property and business lawyers today.